Explore many notions of paradise. 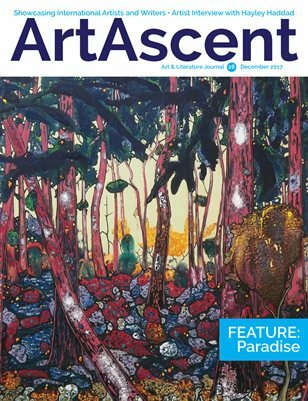 This twenty-eighth, 100-page issue explores the theme "Paradise" via inspiring paintings, jewelry, photography, textiles, mixed media, poems and stories and more by international, emerging and indie artists and writers. If you love art - both visual and written - you'll love ArtAscent.